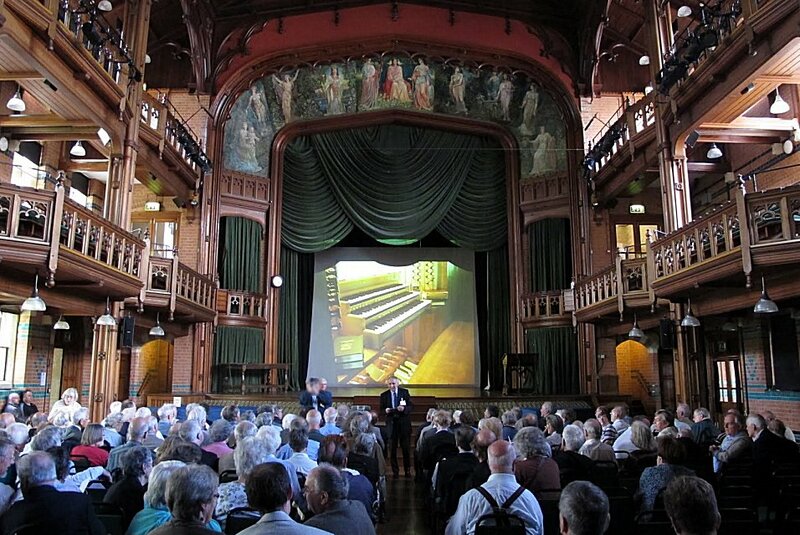 After our delight at listening to the new organ in Worcester Cathedral, it was natural that delegates were eager to hear the other Tickell organ that formed part of the 2012 IAO congress - in Cheltenham Ladies' College. Its location, on the rising tiers of an upper rear gallery, posed considerable problems for the builders. 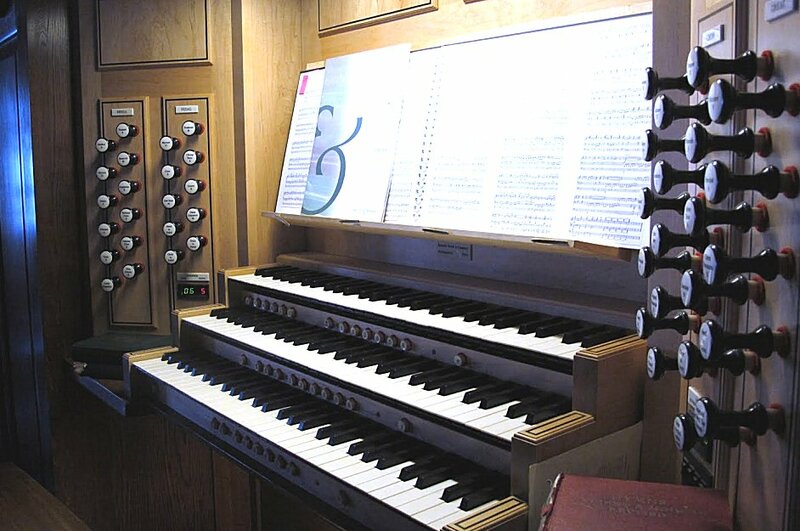 The limited available height dictated the layout of the instrument with Great and Choir divisions being combined on common soundboards with the Swell division behind. The rounded profiles of the case towers and tracery of the pipeshades take their inspiration from the elegant surroundings of the Princess Hall. 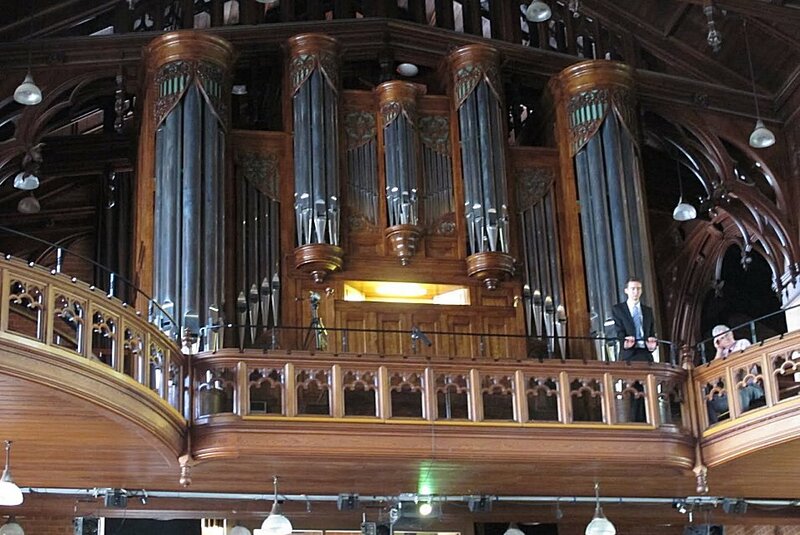 Following its installation during the summer of 2006, Dame Gillian Weir gave the opening recital in March 2007. Ian Bell was the project's consultant. The recitalist on this occasion, introduced by IAO President Alan Thurlow (see centre of left photo) was Paul Manley, organ scholar of The Queen's College, Oxford, and previously the scholar at Chichester Cathedral. His programme included works by Bach, Guilmant & Schumann, and also Mendelssohn's fourth organ sonata. Paul is continuing his organ studies with Thomas Trotter.